FORT COLLINS, Colo., Sept. 20, 2018 /PRNewswire/ -- Otter Products, LLC, producer of top case brands in the mobile accessories industry, worked with Apple on an assortment of OtterBox and LifeProof cases compatible with iPhone Xs, iPhone Xs Max, and iPhone XR. 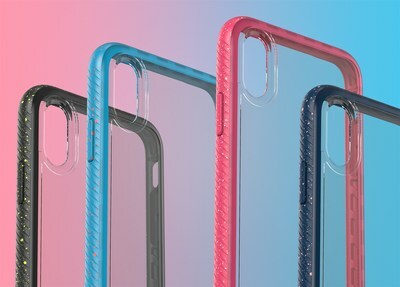 In addition to the standard OtterBox and LifeProof case lineup, OtterBox designed four entirely new series of cases for exclusive sale at Apple stores and otterbox.com, including the sleek and trendy new Traction Series, available now. 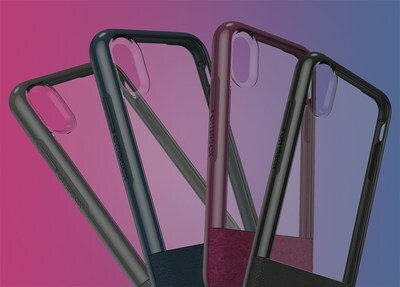 "Otter Products is excited to continue providing its customers and consumers with the highest level of premium, protective and stylish products designed for iPhone Xs, iPhone Xs Max, and iPhone XR. As a leader in the mobile accessories industry, we'll ensure every iPhone user is able to find a case that meets their respective needs, whether it be protection or style, and in most cases, both. The newest lineup of cases are Otter's most amazing products to date," said Otter Products CEO and president, Jim Parke. * Available exclusively at Apple.com, Apple stores and otterbox.com. At Otter Products, "We Grow to Give." The company's success is measured by this mission and brought to life through the OtterCares Foundation. Founded in 2009, OtterCares is focused on inspiring kids to change the world by championing innovative education that encourages students to become entrepreneurs and philanthropists. Apple revolutionized personal technology with the introduction of the Macintosh in 1984. Today, Apple leads the world in innovation with iPhone, iPad, Mac, Apple Watch and Apple TV. Apple's four software platforms — iOS, macOS, watchOS and tvOS — provide seamless experiences across all Apple devices and empower people with breakthrough services including the App Store, Apple Music, Apple Pay and iCloud. Apple's more than 100,000 employees are dedicated to making the best products on earth, and to leaving the world better than we found it. *Symmetry Series, Traction Series, Vue Series, Figura Series, Statement Moderne, Statement Series, Defender Series, Defender Series Pro, Commuter Series, and Strada Series Folio are NOT protective against water. Will provide added protection against drops and shock. Pursuit Series case is NOT protective against water. Will provide added protection against bumps, drops, shock, dust, dirt and snow. ©2018 Otter Products, LLC. All rights reserved. The OtterBox name and OtterBox trademarks are the property of Otter Products, LLC, registered in the U.S. and other countries. All other trademarks are the property of their respective owners.